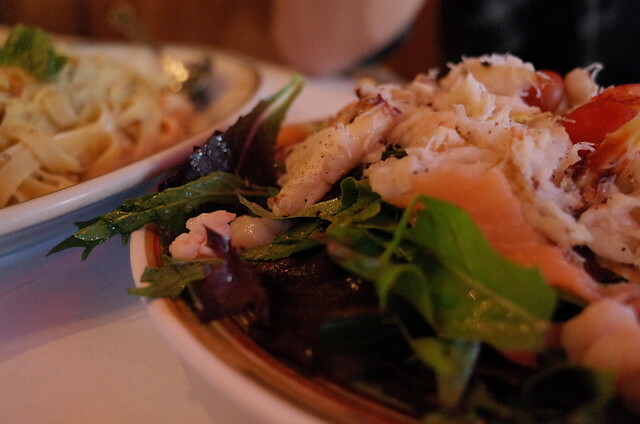 I was in the San Francisco area for work last month, and although I was there for work, I wanted to have some interaction with the city, so I was looking into various ways I could check out local foods and activities in the area. I didn't want to buy a travelbook, or have to carry one around with me, so I looked tried Foursquare. This turned out to be a great choice. I has remembered a post I read a while back on how useful it could be in a travel situation, so I tried it out upon arriving. Coupled with the fact that I was going to be in the US, it seemed logical to use the software that had a large user base that I could get data. After work, I would stroll out to a nearby venue, or find a place close to my hotel. I was traveling with two colleagues and after having chosen a good breakfast place, I became the one to search for places to eat. I only checked Foursquare and listed options for them, though. I usually have a sizable breakfast thanks to my wife, and I wanted to keep that up as it gives me energy throughout the day. I went to a place called The Grove to get a boost on some fresh vegetables. 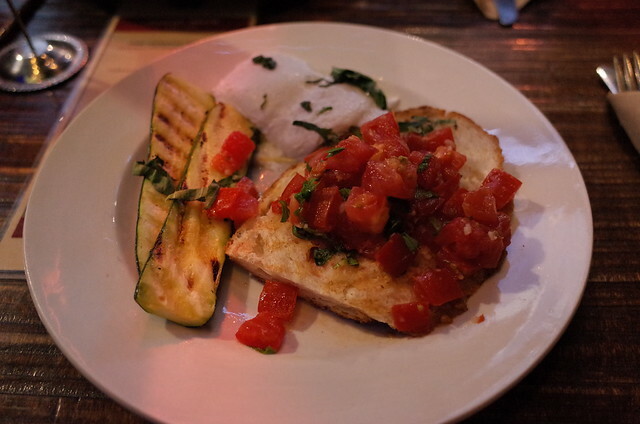 Bread, tomatoes, grilled zucchini, fresh mozzarella cheese, all with basil leaves. The above photo and a freshly squeezed glass or orange juice gave me a lot of energy for the conference I was attending. Buono. 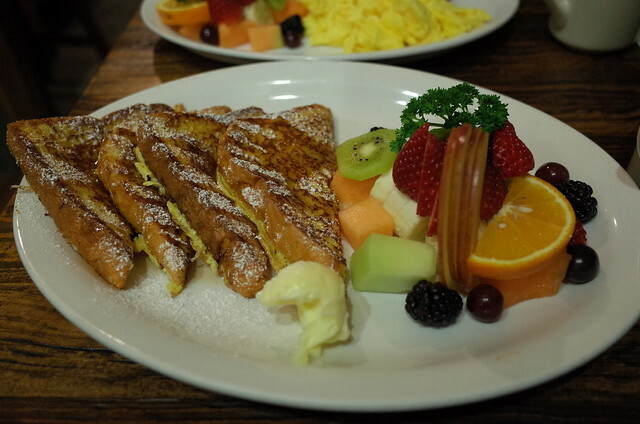 On another morning, I wanted a more traditional breakfast, so I tried a local shop called the Taylor Street Coffee shop and had french toast there. I really enjoy maple syrup, so that was a big plus. This store looks comfortably retro, and was very relaxing with very good food. The berries were most tasteful, and the jam seemed home made. I enjoyed this place so much I went on a separate day and had some greek yogurt with berries and granola. For lunch I tried out many things nearby the venue I was working, but there were times I wanted something lighter and organic, and lots of vegetables. I turned to soup and juices a lot, and with the right sandwich this could be a very balanced meal. On the other hand, I had to have a hamburger at some point, so St. John's Bar and Grill was a choice that had to be made. 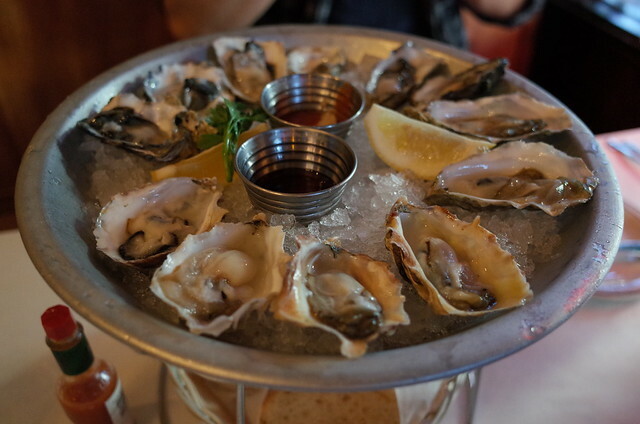 Since on our last day we wanted to try out some seafood, reached out to the Hyde Street Seafood House & Raw Bar. This place was great with all sorts of seafood to choose from. 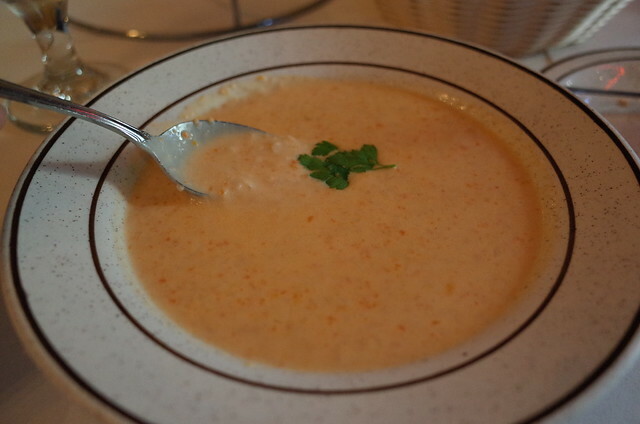 Oysters, lobster bisque, chowders and pasta, with crab salad too. Most of all, my trusty GR Limited was small enough to take around with me anywhere to snap photos. I never liked looking at other people's food photos, but now I'm guilty of posting my own on the internet.